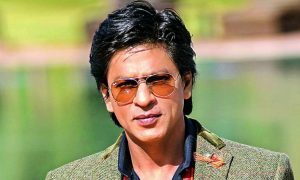 Shah Rukh Khan is all in for the promotions for his upcoming film, Zero. He is doing everything for his this year’s big Christmas release. 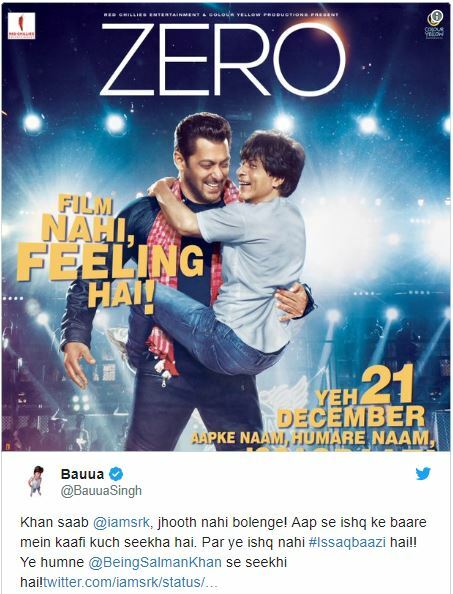 Earlier, before the trailer launch, he shared Katrina Kaif and Anushka Sharma, his two leading ladies in the film’s looks on Twitter and this time, he, no, the character he is playing in Zero, Bauua Singh has taken to Twitter to share the news of Zero new song hitting the internet today i.e. 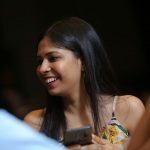 on 4th December. 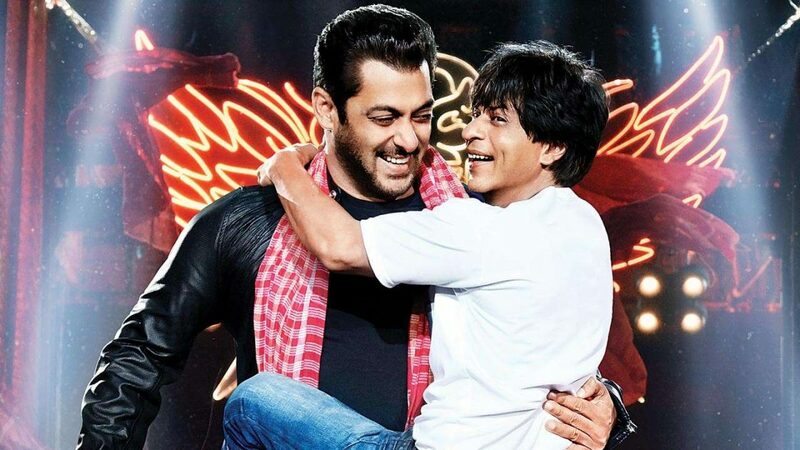 The trailer of the movie had teased a Salman Khan cameo in the movie and it left the fans of both the clubs very excited because believe it or not, when the two appear on TV or on the big screen together, the TRPs and the box office collection shoot up like crazy. 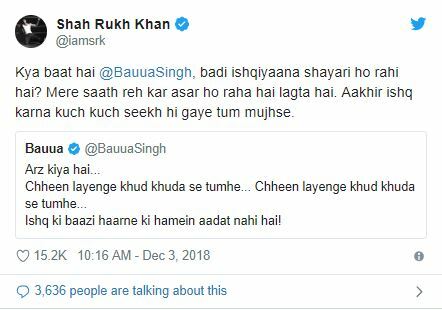 Shah Rukh and Bauua Singh apparently had a Twitter conversation yesterday to set up a base for the song launch announcement. 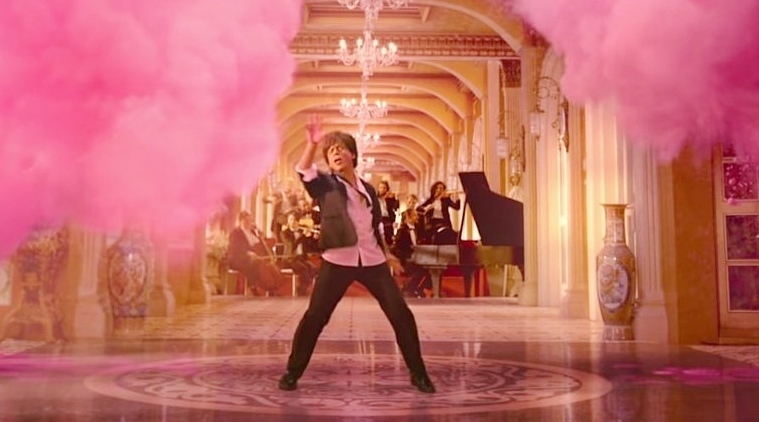 We will have to admit that this is a good pitch for audience engagement and to aware the fans of their upcoming song. 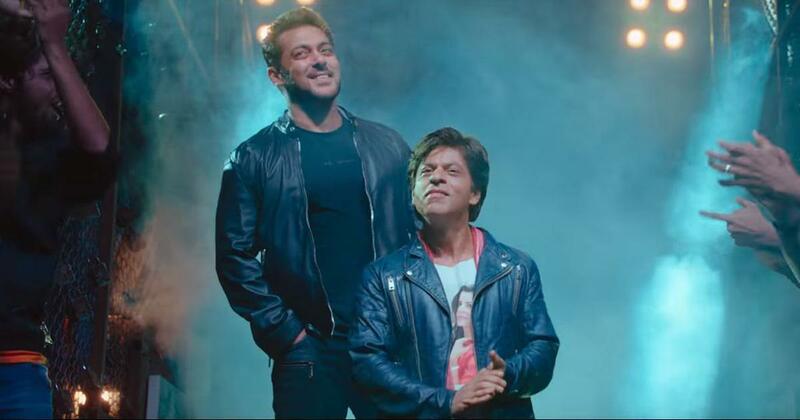 As revealed, the name of the song is Issaqbaazi and this too, like the first song of the movie, Mere Naam Tu will top the chartbusters list. 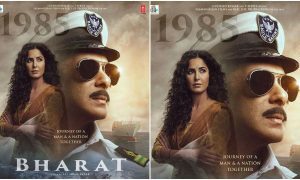 “Anand (L. Rai, Director) has spoken to Katrina (Kaif) regarding this film quite sometimes ago and that time Salman also heard the story. 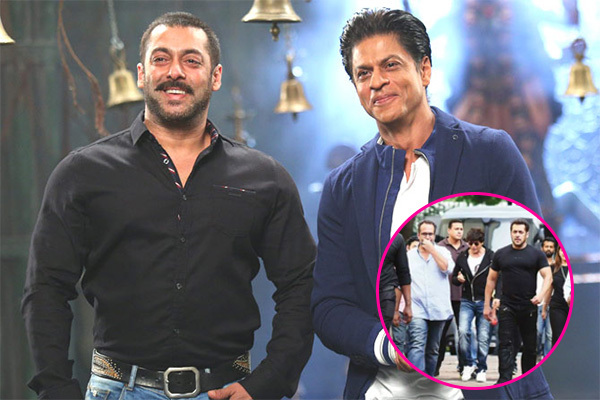 Then Salman called and said that there was this story and hear it. 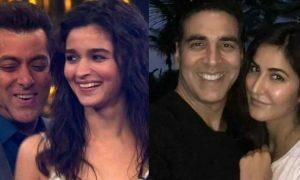 The coincidence is that, when finally, I said yes to the film, after that he said that I will be a part of this film for sure, by doing a song. That was very dignified and loving of him. 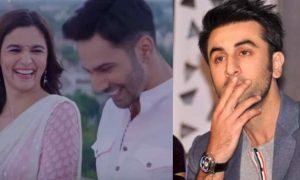 Earlier, it was reported that the song in which both of them will feature will be titled, Chaknachur Hai but that did not turn out to be true. 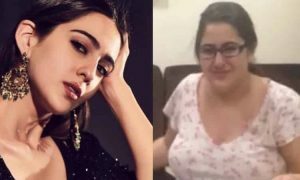 The song is titled, Issaqbaazi which can hit the internet anytime soon now! 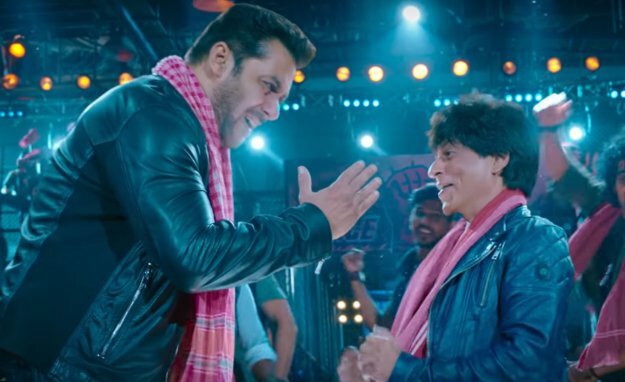 Salman Khan’s cameo in Zero has definitely got people’s attention even more and it would be a blast to see them enjoy on the big screen together. 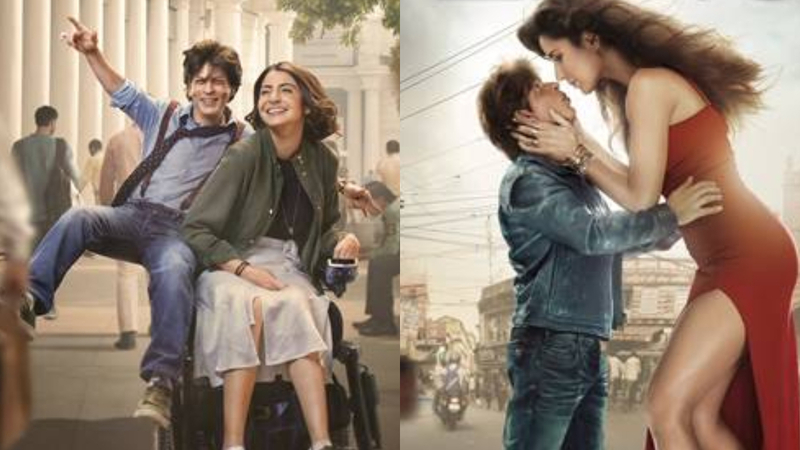 Shah Rukh Khan’s character in the film will be called Bauua Singh, Anushka Sharma is reportedly playing a scientist and Katrina Kaif will be pulling off the character of an actress in the film. 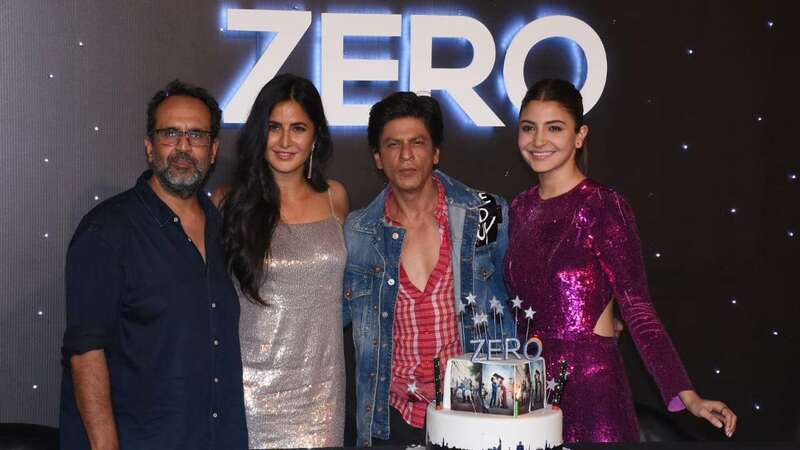 Zero is slated to hit the theatres on 21 December 2018.